The 2004 Vigna Sere is the perfect conclusion to a vintage that will go down as one of Dal Forno’s most magical. Sweet, silky tannins support layers of super-refined, elegant fruit in this magical sweet red. Mocha, espresso, new leather, raspberry jam and spices emerge with time in the glass, but this is really a wine that shows off textural finesse more than anything else. I have tasted this wine many times since it was in barrel and later in bottle. It has never been anything less than spellbinding. It is one of the most magical sweet dessert wines I have ever tasted. At eight years of age the 2004 remains a an infant. Anticipated maturity: 2014-2024. 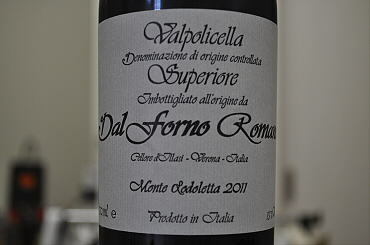 The 2011 Amarone della Valpolicella Monte Lodoletta is another extreme wine from Romano Dal Forno and his family. It is almost impossible to wrap your head around the intensity and richness that is so expertly delivered by this monumental wine. The bouquet is sweet and heavy with luscious tones of black fruit, prune, dried rose bud, cherry liqueur, spice and tarry asphalt. The wine oozes forth with impactful thickness and generosity. Rather than a companion to a meal, this wine is a meal in itself. It goes over and beyond traditional Amarone. This was a hot vintage, but the brunt of the heat came towards the middle/end of the growing season, followed by cooler temperatures at harvest. much softer and a tad more approachable in contrast. Ultimately, this wine promises a graceful, steady and long evolution. Drink: 2017-2035. The 2011 Valpolicella Superiore Monte Lodoletta is a darkly concentrated but carefully balanced expression that only the most expert vintner can pull off with success. Consider that the dry extract is a massive 48 grams per liter. In fact, there is some minor precipitation of color matter even at this relatively young age. This wine was aged in new oak for two years (instead of the standard three years) with four years bottle (instead of three). That extra year in glass served to help the wine integrate and to reduce micro-oxygenation. 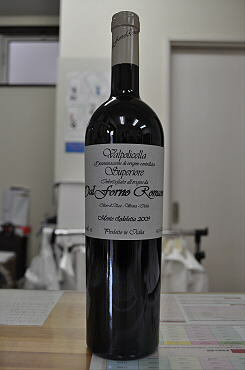 The bouquet is bright and fragrant with floral notes of rose and violet that are rare to find in Valpolicella. There are faint tertiary notes as well that add to the complexity. You will find cured leather and savory spice. The finish offers enough acidity to refresh the palate, following that considerable density and thickness. Built like a tank, the 2009 Valpolicella Superiore Monte Lodoletta is a masterful achievement. This wine shows so beautifully, especially in a warm but balanced vintage like 2009. The fruit is expressive and articulate with deep layers of blackberry preserves, dried cherry, dark chocolate, espresso bean, mesquite smoke and soy sauce. The mouthfeel is super rich and concentrated as the Dal Forno signature style would dictate. The tannic bite is still strong and this wine needs a few more years to stretch out its muscular build. I'd suggest drinking it after 2018. The 2008 Valpolicella Superiore hails from the famed Monte Lodoletta cru and immediately struts its stuff: It opens to huge intensity, an inky appearance and tight tannic astringency. Great care is taken to transform each berry of fruit into this dense, syrupy wine that is redolent of bitter chocolate, dried fruit, blackberry preserves, baking spice and toasted herbs. The oak tannins dry every last drop of moisture from your mouth. 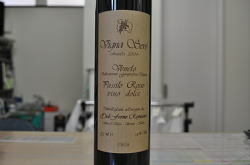 The blend is 70% Covina and Corvinone, 20% Rondinella, 5% Oseleta and 5% Croatina aged 36 months in barrique. This wine has a long, long way to go. Don’t even think of popping the cork for five years or more. Drink 2018-2035. 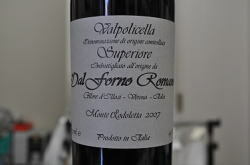 Sweet, open aromatics lead to hints of dark blueberries, blackberries, spices and minerals as the 2004 Valpolicella Superiore gradually opens in the glass. Today the wine comes across as shut down, but the imposing tannins are also rather fine, suggesting that with time the wine’s inner sweetness will gradually emerge. Readers who want to try their luck with this wine earlier should open the bottle a good eight hours or so prior to drinking it. Anticipated maturity: 2012-2019.